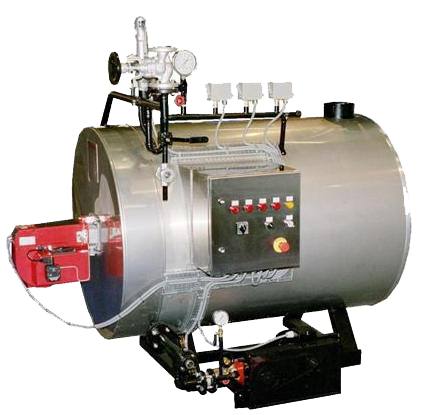 A boiler is a closed vessel in which water or other fluids are heated. The heated or vaporized fluid exits the boiler for use in various processes or heating applications, including boiler-based power generation, cooking and sanitation. Gas burners or oil burners are mechanical devices that burn a gas or a liquid fuel into a flame in a controlled manner.